The Quick Order form is compatible with all AEL products, excluding custom Seats & Backs. Mounting hardware includes a four-prong clamp that grips the tubing at two points of contact, providing more stability than a traditional collar clamp that grips the tubing at a single point. 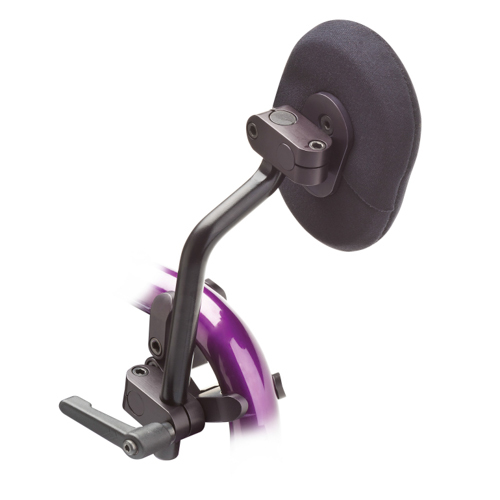 A Track Mounting option is available for wheelchairs without a hanger mount. All stock pads include ½” Medium SunMate with a black Neoprene cover. For added pressure relief, see Knee Adductor Modifications. Give your POSAlinc Original clients a tool-less solution for adductor removal and adjustment by ordering a POSAlinc Original Knob Kit with your knee adductor. Copyright ©2015 Adaptive Engineering Lab | All Rights Reserved.